I typed "secret" because for some people this is not actually a secret as it is not hidden and does not need special tricks at all. However, many people still haven't realized this. 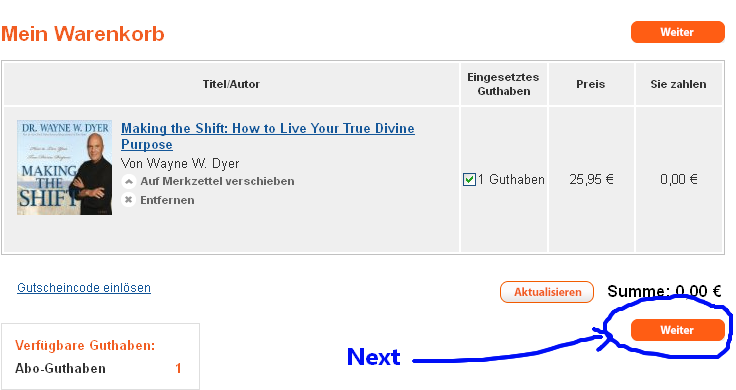 I just realized myself that I could download any 4 free audiobooks from Audible (instead of just 2), a few days back. 3. 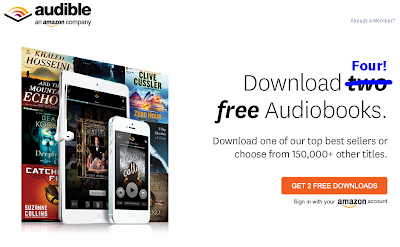 Audible.de - Take advantage of the free 30-day trial to download 1 audiobook of your choice. 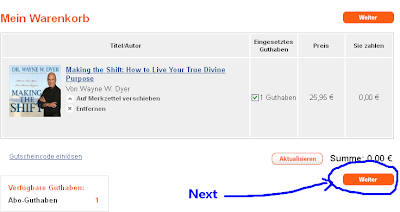 Don't worry, there are English audiobooks there in the Englische Hörbücher category. 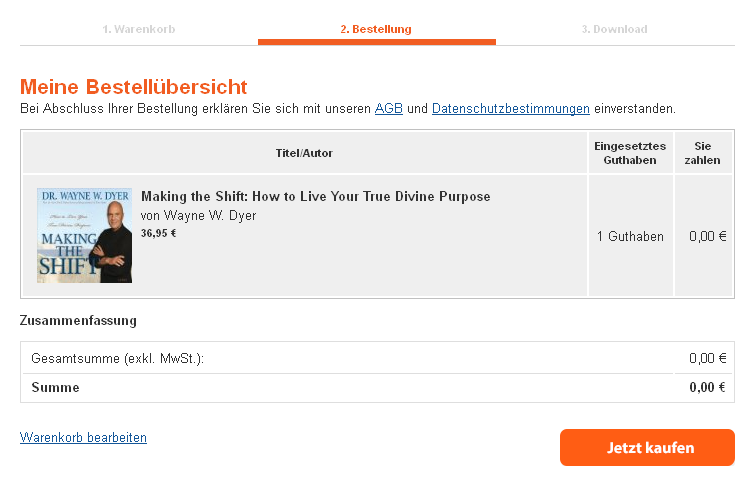 If you speak German, of course there will be no problem on using the Audible.de. 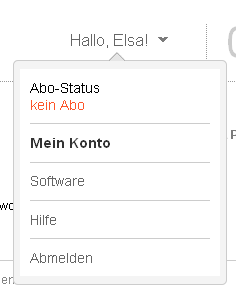 But if you don't, it can be a little tricky since you have to use Google Translate to understand the menu. 1. When you already found the audiobook you want, click "Warenkorb" (add to cart), and then click "Warenkorb Ansehen" (view cart). 3. 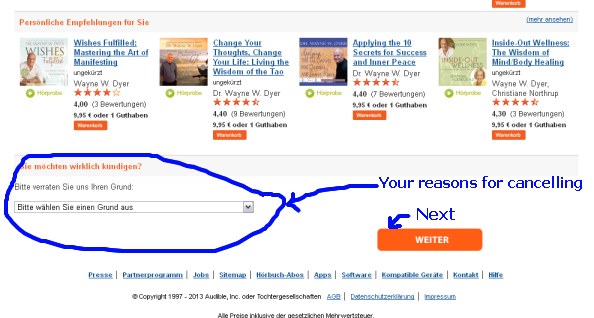 Click "Jetzt Kaufen" (buy now), and you're done. The audiobook is now in your library. 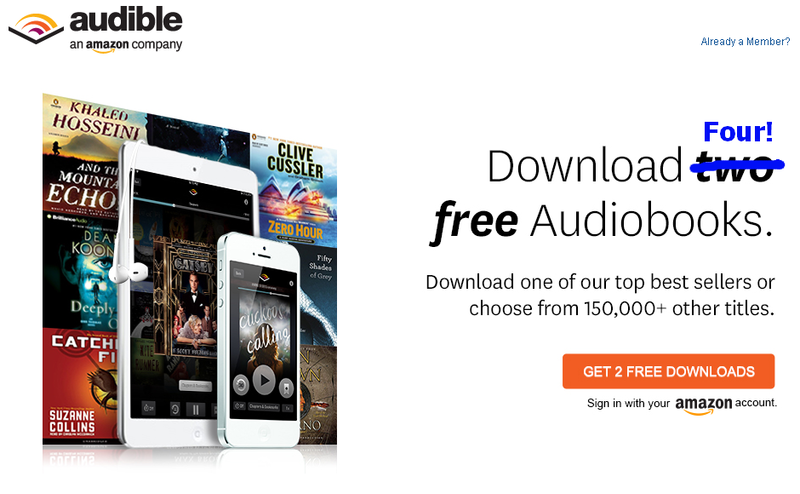 You can always join the membership in the future, and your free audiobooks will always be in your library after you cancel your membership / trial. 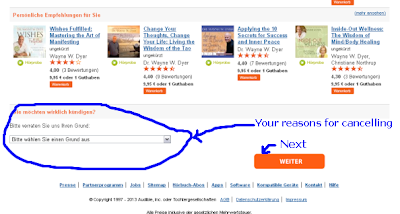 I just wanted to let you know that there is also an audible.fr and an audible.com.au for the french and Australian audible shops.